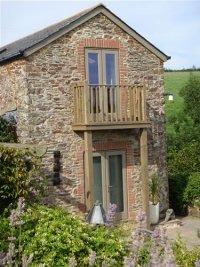 A beautifully converted stone barn in a stunning 2 acre setting overlooking Dartmouth Golf Course and surrounding open countryside. We are situated just a short distance from the town of Dartmouth and the lovely beaches of Blackpool and Slapton sands. "Gay Friendly"